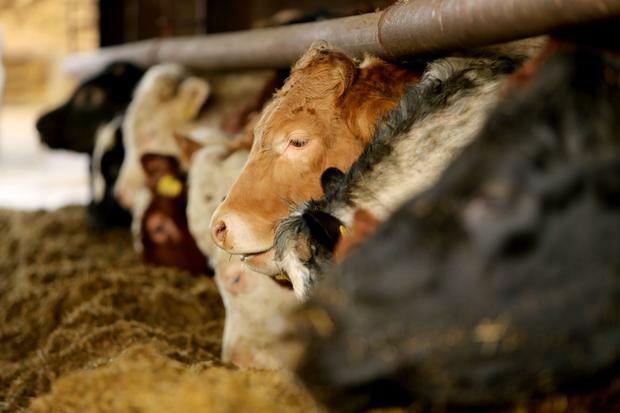 Farmers at the side of a mart ring will tell you that there’s a factory cartel operating in Ireland depressing beef prices, the INHFA have said. INHFA vice President Brendan Joyce has said that there is a crisis in the beef sector due to factory cartels controlling the price and that farmers on marginal land with no options to diversify are the most vulnerable. “The factory cartels are controlling the price, we are price takers. Ask any farmer at the side of a mart ring, there are three processors there continually. Ask any farmer along a ringside and ask them they do they think a cartel is at play there and they will say yes in 100pc of the cases,” said Mr Joyce. Mr Joyce pointed out that suckler farmers in the west of Ireland on marginal land that have no option to switch to dairy have been failed by Department of Agriculture Schemes such as the BDGP and BEEP. He called for more measures within GLAS to be introduced to help those farmers in the west. “Smaller suckler herds have found the schemes to be high in terms of cost in level of paperwork. We are calling on the Minister to review the Rural Development Programme to allow for funding for areas with the highest level of dependency,” he said. “Farmers lost their shirts in 2018 and don’t have it to lose in 2019. Farmers have been losing money for the last sic or 8 months. Brexit has been used as a leverage to pull prices and it needs to come back to primary producers,” explained Mr McCormack. Sinn Fein TD Martin Kenny added that the competition authority will have to be called on to investigate the lack of transparency and competition in the beef sector and that Irish farmers can no longer stand for the current level of beef prices.